An e-ARC was provided by the publisher for this blog tour. This does not affect my opinion whatsoever. 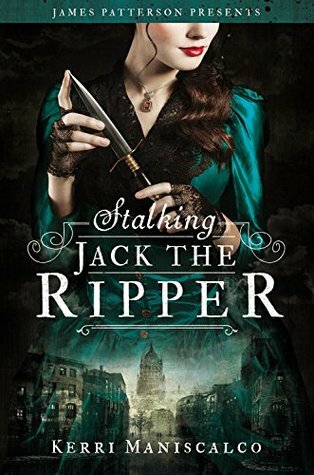 Stalking Jack the Ripper is a thriller focusing on Audrey Rose Wadsworth, who is apprenticing under her uncle to study forensics. It's an unseemly interest for "proper" ladies of the Victorian era, but that won't stop Audrey Rose and her desire to learn. Through her uncle, she meets Thomas, a charming, brash and intelligent young man who she finds herself intrigued by and also finds a partner in helping her solve the Whitechapel murders. The novel is told in Audrey Rose's point of view and at first, the novel moves kind of slowly, building up the relationship between Audrey Rose and Thomas. It also sets up the series of murders and the mystery. 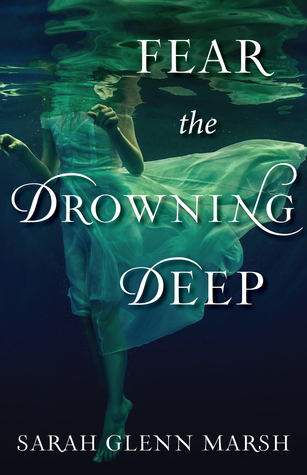 Kerri manages to weave in the historical facts of the murders and her own world seamlessly and I really enjoyed how she managed to write a world around the historical facts. But oh holy crap, does the novel ramp up in speed near the very end, as Audrey finally finds out the truth of the murders and the identity of Jack the Ripper. I really enjoyed Audrey Rose's character. She doesn't care too much that she's flouting societal norms by apprenticing under her uncle and I love the way that she's escaping the gender roles imposed by society in Victorian England. She is bold and courageous, taking on the case of these murders herself and looking for the murderer. One of my favourite moments of hers, was when she was picking out fabric for new dresses, and stated that just because she was interested in autopsies and cadavers, didn't mean she couldn't also appreciate beautiful clothes and other feminine things. Thomas irked me at times. He has that sort of Sherlock-ian way of ignoring societal cues and being able to shut down his emotions to suit the role of investigating murders. He also has that Sherlock-ian observational skills in that he notices many tiny things and makes inferences in order to piece together the larger picture. He is much more charming than Sherlock though and charms Audrey. While I managed to guess at who the perpetrator would be, I didn't exactly expect the way it would be revealed. Oh boy. Overall, this novel was a great historical thriller that I highly enjoyed and definitely had me internally screaming at the climax. The novel wraps itself up tidily though leaves room for another novel and I'm looking forward to reading the sequel that Kerri is writing. 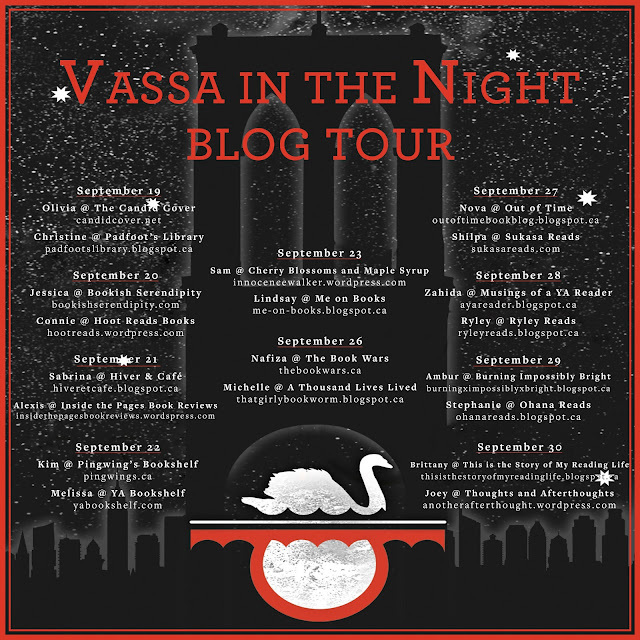 I'm so excited to be a part of the VASSA IN THE NIGHT blog tour and I was one of the lucky ones to be able to ask Sarah Porter a question. Do you think you would survive a trip to BY's? so it’s better if I stick to writing about them! Ri: I don't know if I'd survive a trip to BY's. I'd like to think that my Slytherin sneakiness and preparedness would help me survive, but who knows. Magic is unpredictable. Vassa is a purple haired teenager whose constant companion is a talking, kleptomaniac wooden doll named Erg. She lives with her two other sisters of whom she is related to in varying degrees in Brooklyn, where the nights seem to get progressively longer. There is only one store that is open throughout these long nights — BY’s. However, shopping there is dangerous since the owner, Babs Yagga beheads shoplifters and displays the severed heads on stakes surrounding the moving and dancing store. Vassa is bitter about her circumstances and she really only entered the store out of spite for one of her sisters, who asked her to enter the store on purpose. She wants to be anywhere but Brooklyn and she resents her parents. However, as she is stuck in the store, she learns more about both her past and about the magical circumstances surrounding the store and the elongating nights. The plot did feel like a fairy tale in that there was a prescribed quest for the hero to accomplish in order to survive and win against the villain. 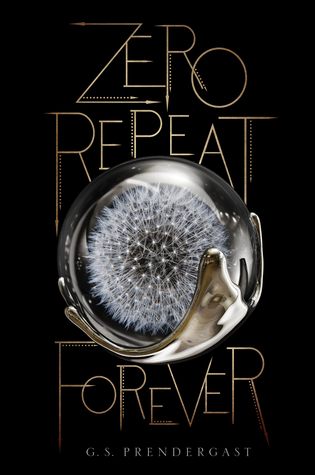 As the novel progressed, it definitely got weirder and I understand why there would be mixed reviews of this novel. Vassa in the Night is a bit ridiculous and weird in the way that Alice in Wonderland is weird and ridiculous. There are bits that are somewhat questionable and don’t really make too much sense at first glance. 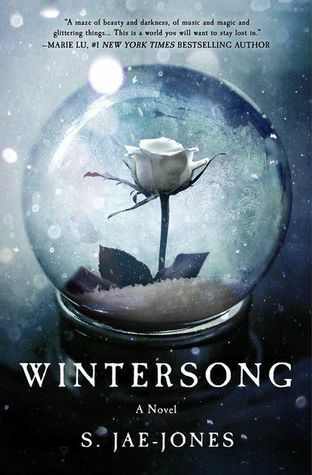 It has a fairy tale vibe to it that persists throughout the novel and is absurdly fantastical in a way that would seem even out of place in a fantasy novel, but not a fairy tale. The novel is beautifully written and has that aforementioned fairy tale vibe. The way Sarah personified Night in this novel was so beautiful and I definitely devoured those bits of writing. 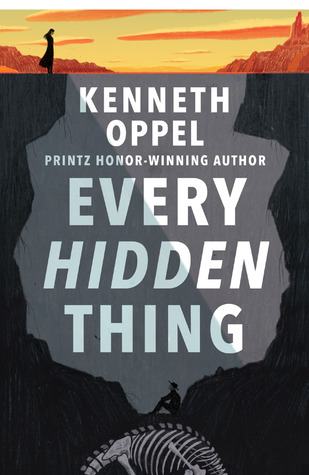 It’s intriguing and had me constantly flipping pages, wanting to find out what happens next. It’s definitely a unique story and I’ve never read anything like it. 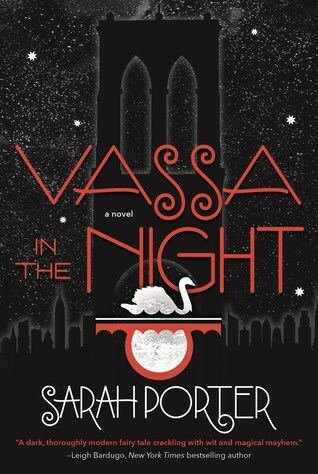 Vassa in the Night is wonderfully and beautifully absurd and it will most definitely stick in my mind for a while. I absolutely loved her debut novel and the first novel in the series, THE GIRL FROM EVERYWHERE. You can check out my review of the first novel here. 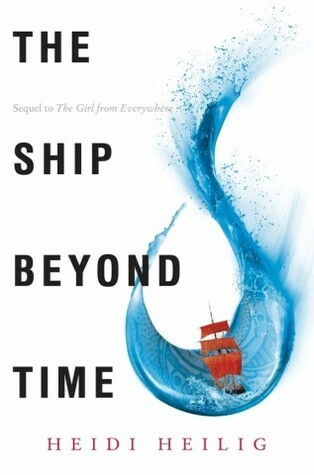 I adored the world building and the way they traveled through time and worlds in the novel and I can't wait to experience more of it! I loved the characters and also Kash and I also can't wait to read more of them. Can you tell that I loved the book? I also really love that cover! It's gorgeous and it matches so well with the first novel! 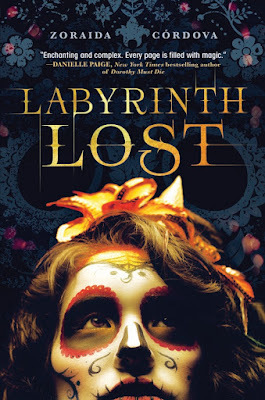 I'm so excited to host an excerpt of this novel, Labyrinth Lost, today! I'm so excited to read this novel and it's definitely in my immediate line up of my tbr. If you don't know about this novel, here's some info to get you started. Wasn't that such a great excerpt? I'm so excited to read this novel and I hope this excerpt got you interested too! And to make this all even better, there's a giveaway! 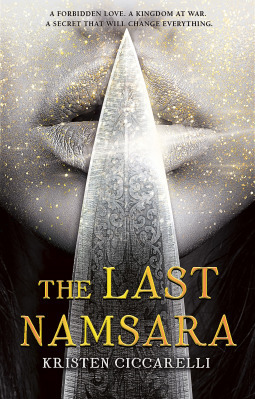 Sourcebooks is hosting a giveaway for 2 copies of Labyrinth Lost and signed bookmarks as well! This giveaway is US & CAN only. If you didn't know, I have been doing The August Break on Instagram and this is my fourth year participating! It's like one of those monthly Instagram challenges where there's a prompt provided every day and you post a photo related to that prompt. However, you can also post whatever you want and not follow the prompts if you so choose. The idea of the August Break is to take a break, pause, notice the world around you and photograph it. Here are the pics that I took this year for the August Break. The correct order runs from left to right and then down by row. 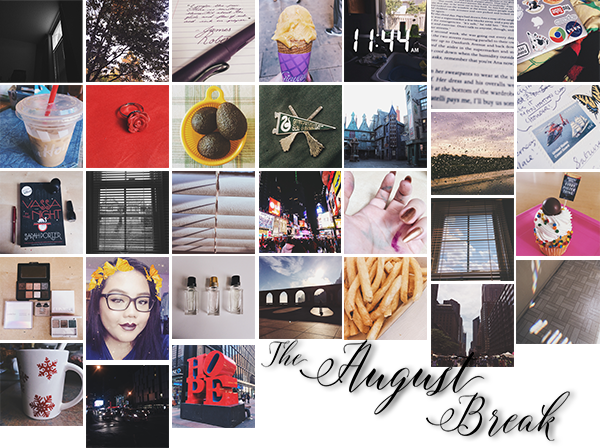 I had some pictures that were slightly longer and so it really shifted all the squares. I am so lucky to be a part of the Knights of White Chapel -- the street team for Kerri Maniscalco's Stalking Jack the Ripper! So for my post, I decided I'd like to do some background on Jack the Ripper, so both you and I would be informed of the historical events this novel is based on. The Whitechapel murders are famously attributed to an unknown serial killer given the name of Jack the Ripper. Though the file on these murders contains 11 victims, only some were committed by Jack, some by copy cats and some were most definitely not committed by him. His victimology revolved around heavily drinking prostitutes and his modus operandi was slitting their throats and disemboweling them. Due to the nature of these ghastly murders, it was decided that an inspector with the knowledge of the area and the criminal world there was necessary. This decision brought Inspector Frederick George Abberline into the mix, around the general time that the second canonically accepted victim was murdered. The prostitutes working the area were questioned and they had come up with a man they had nicknamed "Leather Apron" who would apparently threaten to rip them open if they didn't hand over their money. The papers emphasised his "Hebrew appearance" leading to an increase in anti-Semitism in Whitechapel. Later John Pizer was arrested as the suspect known as "Leather Apron" only to provide solid alibis and cleared of allegations of his involvement. In an effort to combat the terror caused by Jack the Ripper, vigilance committees were created to supplement the police forces and to raise funds to offer a reward for any information that would lead to the arrest of Jack the Ripper. Following the double murder at the end of September of 1888, a letter written in red ink purported to be written by the serial killer was sent to a London news agency. The author of the letter signed as Jack the Ripper and the name caught on after the letter was made public, sparking international attention. This letter spawned many hoax letters sent to various news agencies and the like. This influx of hoax letters threatened to derail the investigation on Jack the Ripper. The most famous of these letters was one sent to George Lusk, the president of one of the Vigilance committees. It was addressed as "From Hell" and contained half a kidney that purportedly belonged to one of the victims. However, it was agreed upon by doctors and the police that it was a prank committed by a medical student. The last generally believed victim of Jack the Ripper was also the most gruesome, as Mary Kelly was skinned "down to the bone" and was only identifiable to her lover through her ears and eyes. Several more names appear in the file on the Whitechapel murders, but they are considered not to be committed by Jack the Ripper. Eventually, the file on the Whitechapel murders was closed, and nobody was any closer to finding the identity of Jack the Ripper. The fact that he was never caught is one that has brought his violence and terror into infamy and to this day, we are still morbidly fascinated by the murders and the identity of this killer. Obviously, two sources wouldn't be enough for an academic paper, but I feel like this is sufficient for a general idea of the historical background of Jack the Ripper. I definitely learned a lot more after doing some research. I myself still find the "Jack the Ripper" thing interesting. I'm looking forward to reading this novel and I'm so excited! Hello my lovelies! 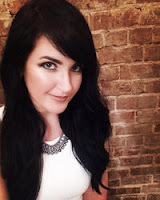 Today I got the opportunity to interview Trilby Kent! Her latest book, ONCE IN A TOWN CALLED MOTH releases on September 6th! Here's some info on her latest novel. Ri: What inspired you to write Once in a Town Called Moth? Trilby: The trigger was a photo essay about Mennonite communities in Bolivia. The pictures of children and teenagers going about their daily lives at home, at school, and in the fields sparked my curiosity about what it must be like to come of age in such a controlled community. I started plotting out the story around the time that my daughter was born, when my husband and I were talking about leaving our home in London, England, to move to Toronto, where I’d grown up. So in part it’s also a little homage to the city that I found myself returning to after many years abroad. Ri: What sort of research did you do for the novel and is there something weird or interesting that you learned during the process? Trilby: The great thing about writing a contemporary novel, as opposed to a historical one (this is my first book set in the present day), is that you can conduct research with living people. I was able to interview women who had experience growing up in Mennonite communities in central and South America, as well as a few who have studied these communities or worked with young people that have made the switch into mainstream Canadian schools. There’s a huge range of Mennonite experiences out there: so many variations within a single church, depending on where in the world you go and which historical line of development you decide to focus on. Moderate, Reformed, Old Order, and Conservative Mennonites all work differently, which means you really have to be specific about which group you’re talking about. One of several interesting things I discovered involves naming traditions. Many Mennonite families follow a pattern in which the first daughter will be named after her maternal grandmother, the second daughter after her paternal grandmother, the third after her mother, and any subsequent daughters after their aunts. It works the same way for boys, using their male relatives. 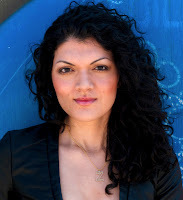 Ri: It’s clear that your anthropology background influences your writing through this novel. Are there any other groups or cultures that you would like to write about? Trilby: At the moment I’m starting work on a new novel that’s partly about a group of children who befriend a Vietnam draft dodger, so I guess you could say I’m currently interested in people who have opted out of war for a variety of reasons, moral and philosophical and personal. By coincidence, there’s a South American connection in this project, too – which is a bit strange, as it’s not a region I know well (in the past, when I’ve written about another place or culture – South Africa or India or Belgium – it’s always been somewhere I’ve had first-hand experience). My first love is still history, though. I’d love to write a history of the world for young people at some point…watch this space! Ri: Do you like listening to music while you write? If so, what do you listen to? Trilby: I tend to write in silence (an empty house is ideal!) but there are usually a couple of songs that act as the soundtrack to any work in progress. With MOTH, it was the old classic Tonight You Belong To Me as well as Devil’s Got A Gun by Whitehorse. Right now I’m listening to Steppenwolf. Trilby: Smoke, by Dan Vyleta, which I’d highly recommend, and a couple of books on American war resisters in Canada. Also the current issue of Monocle and a raft of picture books about starting school, because my daughter begins kindergarten this fall. Ri: Finally, what is some advice you’d like to give to aspiring writers? Trilby: Read! Start as close to the end as possible. Remember that character is conflict, and conflict is story. Get out of your own way – by which I mean aim for writing that doesn’t often remind the reader about you, the author (and your impressive vocabulary, or deep grasp of existential philosophy, or hours spent on research, etc.). Don’t rush to send out your first draft, hard as it may be: put it away for a while, get someone you trust (not a family member!) to offer feedback, and edit ruthlessly. And don’t be afraid to cut – no writing is ever wasted, even if it ends up in the Trash folder. Thank you so much to Trilby for taking the time to answer my questions! 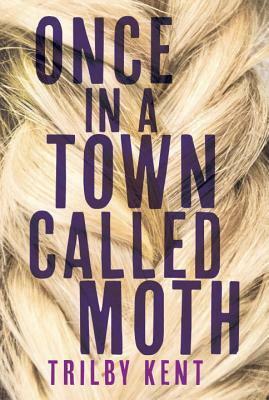 Her novel, ONCE IN A TOWN CALLED MOTH is an interesting read with a lot of information about Mennonites and a girl trying to find herself and her mother. Her novel comes out on September 6th and you can look forward to my review next week!